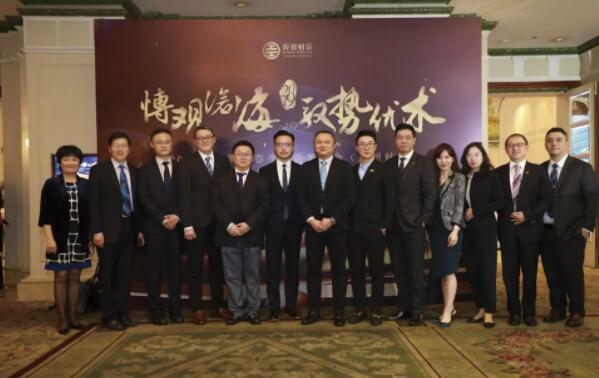 Hywin Wealth Management Co., Ltd. (hereinafter referred to as Hywin Wealth) was founded in Shanghai in 2006 with a registered capital amount of RMB500 million. To fulfill the lives of clients, employees, and shareholders with a professional investment research team and quality financial products. 2016 was the first year of companywide compliance development at Hywin Wealth. Hywin Wealth created a professional compliance team, providing comprehensive compliance guarantee for the company through the whole process of its operations and more efficiently implementing the regulations of the regulatory authorities. Through this professional compliance team, Hywin Wealth creates a complete compliance environment and tries to be a benchmark for industry compliance. Over recent years, the Chinese economy has been in a “new normal”, a stage where it develops at a moderate speed. The overall wealth of individuals has grown steadily, resulting in an increasingly large number of high-net-worth individuals. Hywin Wealth is, through scientific asset allocations, committed to serving high-net-worth clients , and achieving value preservation and appreciation of wealth. Hywin Fund obtained a securities investment fund distribution license from SSRB, and became a member of AMAC next year with fund distribution as the main business. Around the globe, with offices in HK, the UK and the US, Hywin provides perfect consultation services for cross-border asset allocation to solve the difficulty of asymmetry of resources and information. Hywin aims to control the risks of products from their sources, have in-depth research and track the operation of products to ensure the safety and rareness of products in the market.